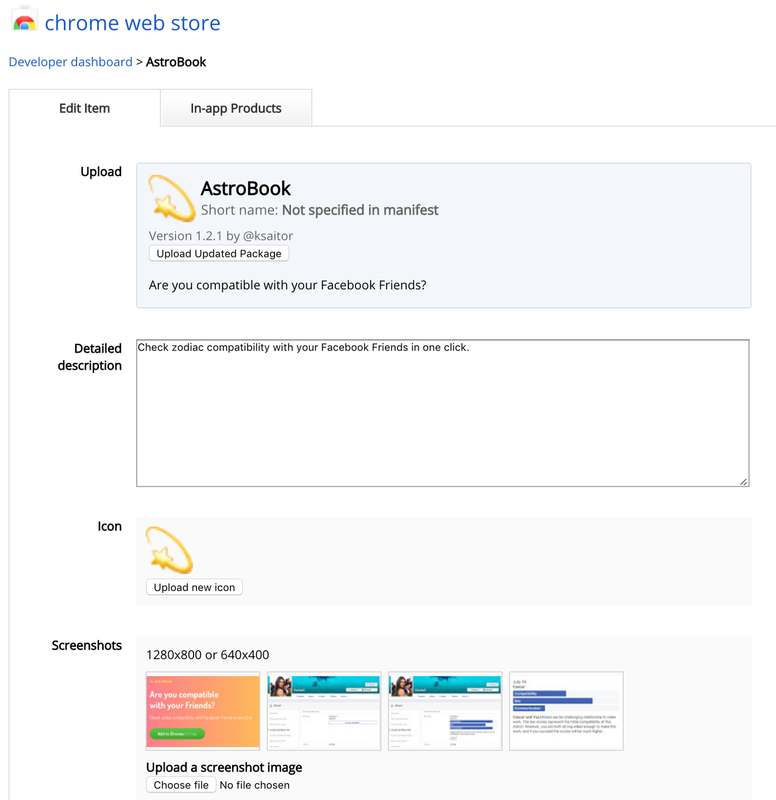 How I built my first Chrome Extension, AstroBook, in less than a day. I was toying with the idea of building Chrome Extension for a while now. Everyone these days is so obsessed with building mobile apps, and the web is left overlooked, along with a long tail of great opportunities there. Such as browser extensions. What’s cool about browser extensions? Low churn — user installs an extension and, unless it’s a particularly annoying one, he or she is quite unlikely to uninstall it. Top of the mind — Is your site or app is having a hard time keeping mindshare of your target user’s audience? Do users forget to go back to your site when they experience the problem that you are solving? — Why not leverage sites that billions of people go everyday to, e.g. Facebook, Google, Twitter, etc. An extension, once installed, can simply augment Facebook’s features and display it’s UI components right within Facebook’s or Google’s UI. Super cool! 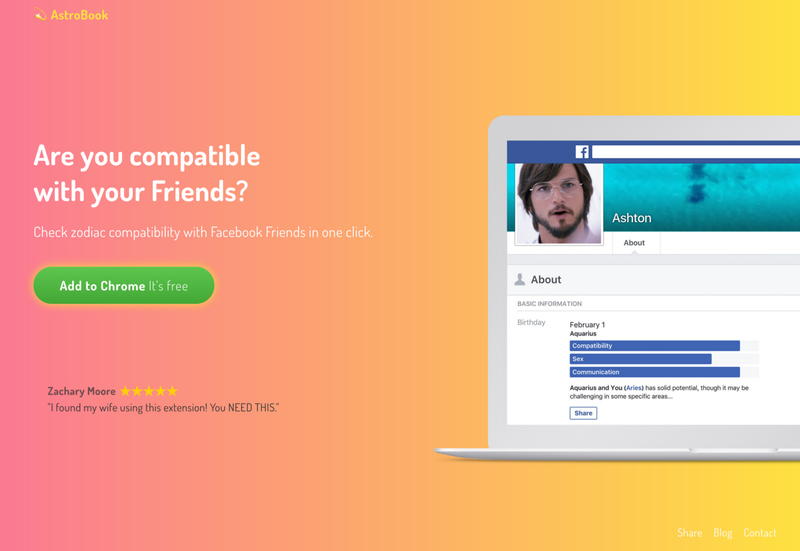 And that’s what we’ll be building today — a zodiac compatibility extension, that checks how compatible you are with your Facebook friends. 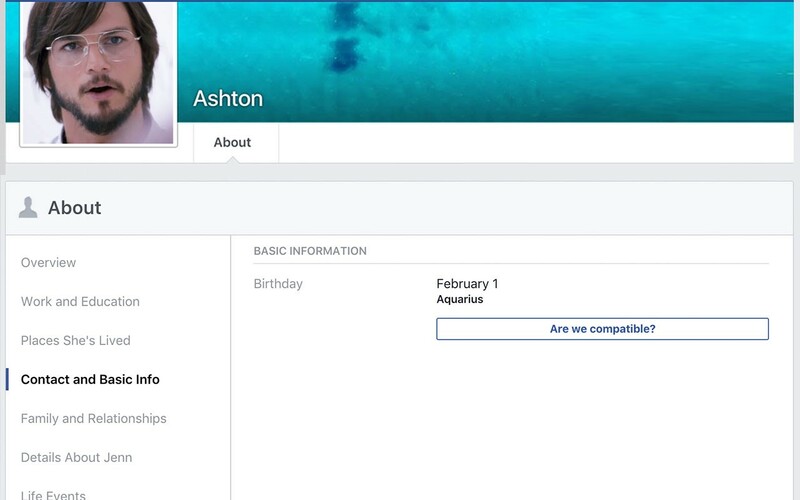 Currently, when I want to check how compatible I am with someone’s sign, I go to their Facebook → copy their birthday → paste it into Google to find their sign → start another Google search request for e.g. 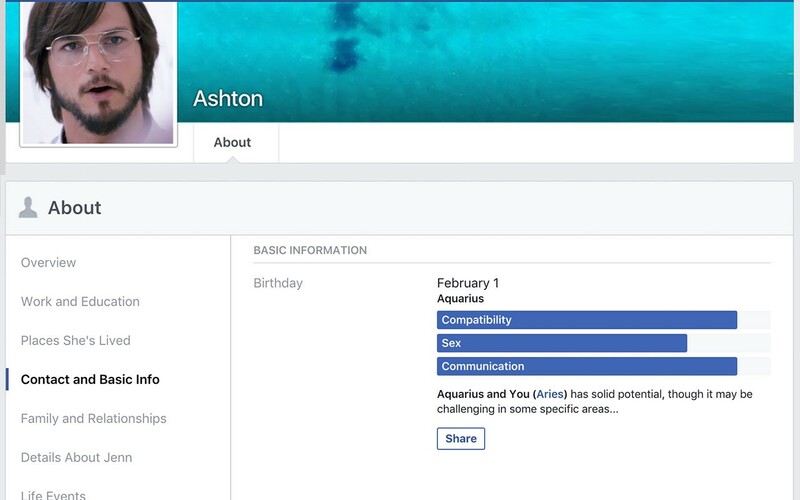 “aries sagittarius compatibility” → click on the result and read. Way too many steps! 😱 Wasting 15 minutes of my life each time. Let’s automate this madness! Bam! Simple, fast, easy, elegant. icon.png is required. All extensions must have one. It’ll show up in browser’s dashboard. Here is our icon: 💫 Yay! initWidget($el) goes on and does all the job of parsing date from $el finding which Zodiac sign it is, and then append a widget adjacent to the element. Local development process is fairly “okay”. You just have to load your extension’s directory into Chrome and then keep hitting “Reload” link all the time. No hot reload 😥 available. First thing that comes to mind when hearing about “App Submission” is Apple’s rigorous, week-long review scrutiny. Fortunately Google’s Chrome Extension submission process was anything but that. It was a breeze. Google takes $5, a one time fee, to ensure you have serious intentions on the app store. After uploading .zip file with your code, it takes about an hour or less for extension to make it to the store, where it’ll get a lovely page like this. Interesting nuance. Each extension should be linked to a domain name. I wanted to do as little work as possible and registering domain, creating a landing page, was not part of my initial plan. Oh well, what needs to be done must be done. Finishing off the day around 11pm, I thought I’d postpone this for tomorrow. Ironically, building a landing page took more time than building the extension itself. I won’t go too much into details here, as web dev / html / css topics are in a vast abundance on the Internets. One thing worth mentioning is that I spent some time selecting where to host my landing page. I don’t like WordPress; hosting static files on AWS S3 (like I typically do) is not ideal for SEO hence I wanted to avoid that; I love Heroku’s push-to-deploy experience, yet I did not want to pay for their dynos. After eliminating a few other options, I settled on Amazon’s new service Lightsail. Best way to describe this new service, is to compare it with DigitalOcean. 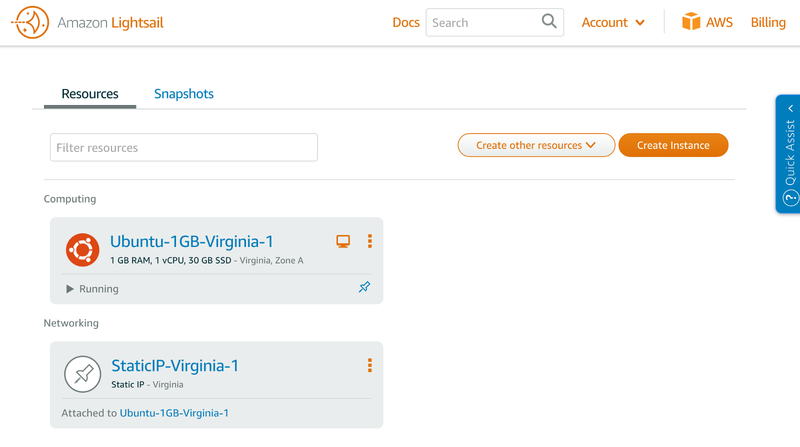 Think of AWS Lightsail as “DigitalOcean in orange colours”. It is identical. Same value prop, same pricing, same simplicity. A spawned an instance for $10/month, installed Dokku and pushed a fresh Sails.js project. Smooth sailing! Nice! By the way, this gradient was inspired by WebGradient. This day was set aside to blog. I rarely blog, but recently decided to document my work process, be open and hopefully bring some value to you. I really enjoyed working with such time constrains. Sort of “one-week-startup”. Pick a project that you can code up in a day or two, write blog post, submit on product hunt and forget about it (unless it takes off, of course). I’m definitely looking forward to repeating this again. Low time commitment, low expectations — pleasing sense of completion. Let me know what you think! Tweet me at @ksaitor. Like and share. 😊 Know someone who’d use AstroBook? Send it to them. Be a good friend. CryptoJobsList.com - #1 job board to find and post blockchain & cryptocurrency jobs.